– Go out into the community to share the love of Christ. 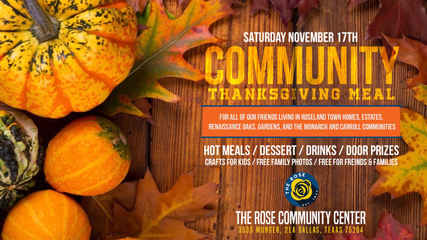 Please bring food to the Rose Community Center at 2pm after which you will have the opportunity to go out into the community. Olivia Mossman is coordinating this effort so look for her when you arrive at The Rose.